Call to book your reservation! Lodging suited to the vacationer! 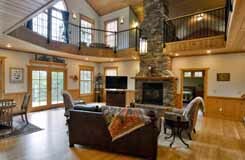 Vacation rentals in the heart of Northern Wisconsin’s most beautiful and popular vacation destinations. 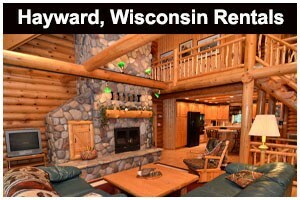 Enjoy the spaciousness, comfort, privacy and value of a quality vacation home rental in Hayward and Cable, Wisconsin! Great selection of rental homes located on popular Northern Wisconsin lakes including Lake Namakagon, Chippewa Flowage, Round Lake & Clam Lake! Make it a great vacation in one of our vacation rentals when we connect you with one of our experienced fishing guides. Our guides love sharing the joy of fishing with kids and families! Choose from our variety of lake homes and cabins rentals for your next home-away-from-home vacation! Book Your Northwest Wisconsin Vacation Home Rental Today! Vacation home rentals offer a great value for you and your family – relax in comfort and enjoy more privacy and space at an affordable nightly rate. 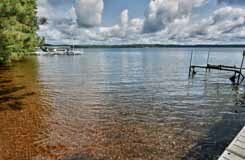 Fantastic lodging on popular Northern Wisconsin lakes! Year round fun including snowmobiling & ice fishing! 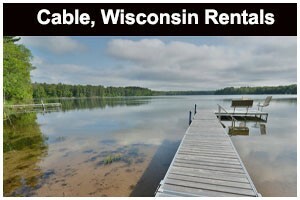 Recreational Rental Properties, Inc. manages vacation home rentals in Hayward, Cable, Birchwood & Clam Lake, Wisconsin! Vacation in Wisconsin’s Northwoods…the best way…in one of Recreational Rental Properties, Inc.’s affordable vacation home rentals and private cabins & cottages for rent in the Heart of Northern Wisconsin’s popular four season vacation destinations of Hayward, Cable, and Birchwood, Wisconsin. 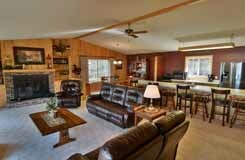 Enjoy the spaciousness, comfort, privacy and value of a quality Northern Wisconsin vacation home rental when you book one of our lake homes, cabins and cottage rentals for your next home-away-from-home vacation! Our vacation rental properties are located on popular Northwest Wisconsin lakes including Lake Namakagon in the Cable, Wisconsin Area of southern Bayfield County; and Lake Chippewa Flowage, Round Lake, Nelson Lake, Grindstone Lake, Eau Claire Lakes, Lost Land Lake & Teal Lake and Lac Courte Oreilles in the Hayward Lakes Area of Wisconsin. Our comfortable, pet-friendly vacation homes and cabins for rent are conveniently located in the heart of a year round vacation playground in Northwest Wisconsin with championship golf courses; world class fishing; some of the best snowmobile trails in the Midwest, exhilarating ATV trails, some of the best ski trails in the country; scenic Northwood’s landscapes; unique shopping and family fun attractions right out your front door! Vacation home rentals offer a great vacation value for you and your family – relax in comfort and enjoy more privacy, more amenities, and more space at an affordable nightly rate compared to most other lodging options like hotel rooms. Choose whether to dine in with the family with the convenience of your own fully equipped kitchen or dine out on the town. We also have pet friendly vacation rentals and larger property rentals that are perfect for families, several families or groups. Need a Fishing Guide? Check out Mike Best Guide Service. Pontoons and Boat Rentals available, too! 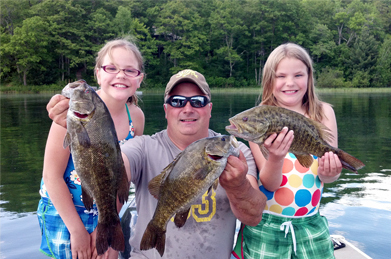 Need a boat rental or fishing guide to round out that perfect Northwood’s vacation? Recreational Rental Properties has fishing boats and pontoon rentals available. We can also line you up with a highly knowledgeable fishing guide service and ice fishing guide. We invite you to look through our large selection of quality vacation home and cabin rentals – most of our rental properties have virtual tours that allow you to get a good feel for each property’s location, amenities and layout. Our site also features an easy-to-use search feature designed to help match your family with the perfect home. Have a seasonal cabin or second home in Northwest Wisconsin? Going on an extended vacation or have a rental property? For peace of mind – and to save you from major headaches and catastrophic expenses – it is critical to have a reputable caretaking service regularly check your property during Wisconsin’s winter months. After a weekend at your lake home wouldn’t you rather just pack up and leave your cabin without having to worry about cleaning it? Well now you can. Contract Recreational Rental Properties Inc. to send over a professional cleaner and have them take care of everything after you leave. When you arrive back at the cabin your cabin will be cleaned and ready for family fun with our professional property caretaking and cleaning services. 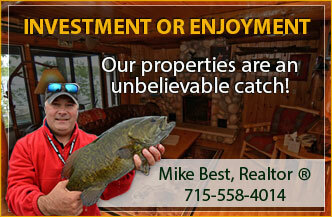 Mike Best of McKinney Realty, Inc. specializes in investment and vacation properties in Northern Wisconsin. Mike has decades of experience in the investment property/vacation rental market in our Area. Contact Mike today - 715-558-4014 - to find your piece of paradise! Be sure to follow our social sites for info, specials, videos and more! Recreational Rental Properties&comma; Inc&period; Recreational Rental Properties, Inc. shared a post. 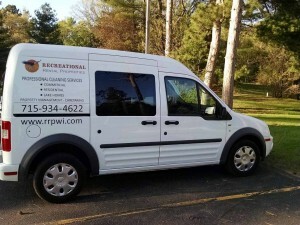 Recreational Rental Properties&comma; Inc&period; Recreational Rental Properties, Inc. shared a link.